Nephrite jade set with diamonds, rubies and emeralds in gold. 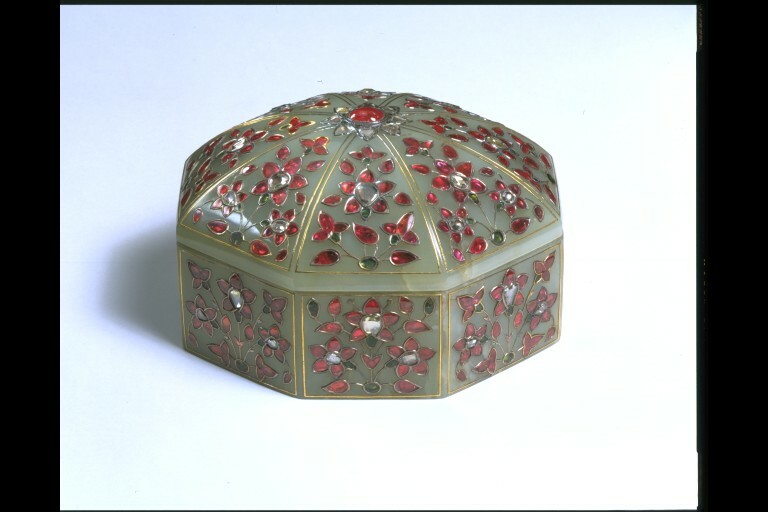 This box of pale green nephrite jade and set with diamonds, rubies and emeralds in gold, was made within the Mughal empire in about 1700. It would have been used to contain pan, the small quids made of betel leaves containing chopped nuts, lime and aromatic spices that are chewed throughout South Asia after meals. In courtly or aristocratic circles, guests were presented with pan to mark the end of a visit. The box was part of the important collection formed by Colonel Charles Seton Guthrie and sold to the Indian Museum in 1868. It was transferred to the South Kensington Museum in 1879. 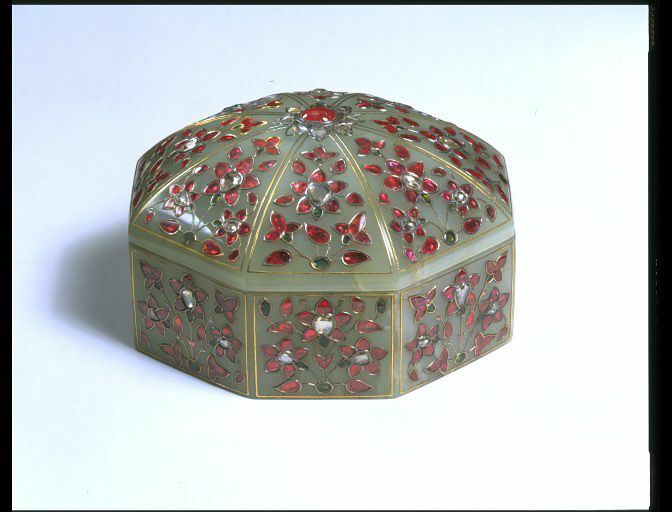 OCTAGONAL BOX & COVER, pale green nephrite jade set with diamonds, rubies and emeralds in gold. 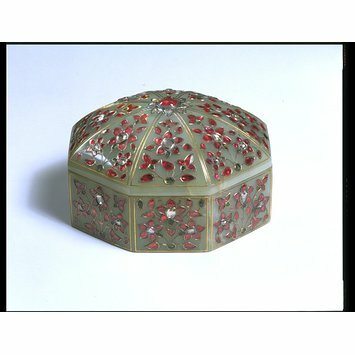 OCTAGONAL BOX & COVER: nephrite jade set with diamonds, rubies and emeralds in gold. Mughal, ca. 1700.